There are a lot of gadgets out there, for all different types of people, coming from different backgrounds. But a lot of electronics tend to be based towards the ages 16-50. So what about after that age?. Is there anything aimed at the seniors? – Yes, there is! 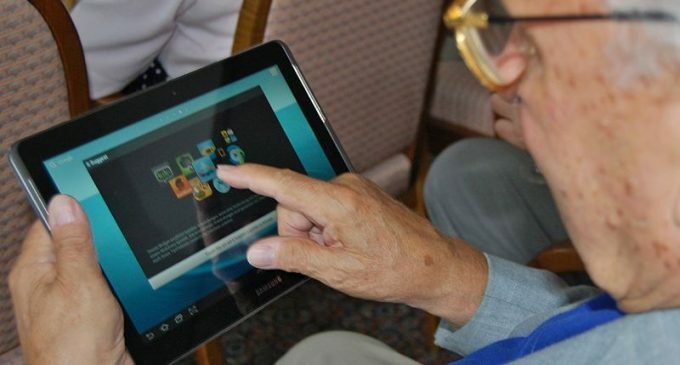 Here are the top 6 gadgets specifically made for our older generation. If you start to find you have to keep turning up the TV because you can’t hear it well enough, why not try these wireless headphones? They connect to your tv through Bluetooth, and within a click of a button, the sound will be flowing through your ears as clear as day. This self-titled cell phone for seniors will make your life a lot easier if you’re having trouble with your ordinary phone. It features large buttons with backlit numbers so you can see exactly what you’re doing. It has easy menus to navigate through, enhanced sound, hearing aid compatibility, and even an SOS button on the back in case you’re in need of urgent help. If your hearing isn’t what it used to be, this sonic alert doorbells will get your attention by flashing; letting you know you have a visitor. It even tells you which door they are at by giving a different signal. With this personal emergency system, you are able to call any emergency service within one press of a button. Not only does this save time, but it will also give you the assurance you need within your home. If you find it hard to clean your floors as you once did, why not treat yourself to a robotic vacuum cleaner. Once charged, it can last for hours cleaning your floors. With a built in sensor, you don’t have to worry about moving it around yourself. Just sit back and watch it work its magic. If you are you having trouble remembering to take your daily pills, this automatic reminder will let you know what time you should take each medication with flashing lights, message alerts and more. No more having to squint when taking your temperature. This perfectly accurate thermometer reads out it loud and not only that; it stores your previous temperatures for you so that you can keep a note of any unusual changes. Why struggle reading the dates when you can get an electronic calendar? It tells the time, day, date, month and year. And the large font makes reading the clock a lot easier. It’s great for keeping track of any appointments you may have. Now you have had a look through; maybe you have seen something that you think will drastically change your life for the better! Or maybe you know someone that would benefit from one of these gadgets. There is always something out there for everyone, whatever age, or gender. So keep a lookout for the next best thing.